Temperatures are rising and so is the anticipation as the international hammer throw season is about to get underway. Over the next few weeks the IAAF Hammer Challenge will kick off and big meets like Hallesche Werfertage in Germany will take place. As a fan of the hammer, there is lots I am looking forward to watching. There are some new stories, some old. Some good stories, some bad. But the common common theme is that 2018 will definitely be exciting. Below are 10 stories I’ll be tracking as the action gets underway. In much of the world, this season will be thought of as an off year, as it is only only year in the 4-year Olympic cycle without the Olympics or World Championship. But history has taught us something: results don’t drop off in the off years. It doesn’t take a major championship to break some records and see some far throws. After all, the 32 year old men’s hammer record was set in 1986, an off year. Looking back to 1980, the world lead in off years is almost exactly the same as in Olympic years. The only year that sees a big fall off is the year after the Olympics. Since that was last year, don’t be surprised if results shoot up this year. The same is true on the women’s side. Over the last 20 years the off year has produced a world record four out of five times, including records in 2010 and 2014 by Anita Wlodarczyk. In Olympic years, a world record was set just once. So as we jump into the season, let’s stop thinking of it as an off year. We’ve already seen some great results and many more are to come. While the Olympics and World Championships will not take place this year, let’s not forget there are still some other major championships. To start, the Commonwealth Games in Australia already took place last month. And the end of the summer will feature the European Championships in Berlin. Despite substantial international growth in the last decade, the event is still centered in Europe. Of the finalists at last year’s world championships, 11 of the 12 male finalists and 9 of the 12 women were European. Four years ago in Zurich the European Championships produced a thrilling competition on the men’s side and a world record foul on the women’s side. Expect much of the same in Berlin. Just think back to the atmosphere for the men’s discus final at the 2009 World Championships in Berlin and you’ll have a good preview of the energy that will be back in that stadium again in August as the world’s best throwers face off. It’s hard to believe, but in just a few years the old guard has almost entirely disappeared. Looking back at the 2012 Olympics, well over half of the men’s finalists have retired or have been banned. Dilshod Nazarov, at age 36, is one of the few still competitive internationally. Despite this drop off, it seems like we are still waiting for the next generation to arrive. There’s good reason to be optimistic this year. Over the past few years a few names have emerged among younger throwers, but this year there is even more depth among the younger throwers. At age 19 last year, Hungary’s Bence Halász hit 78.85 meters and made the World Championships final. Joining him are throwers like Belarussian Gleb Dudarau (21) who hit 78 meters while studying in the US this spring. While his training was hindered in the offseason, World Championship silver medalist Valeriy Pronkin is just 23, as is young American Alex Young who has hit 76 meters this year. A few multi-event talents are also coming through, including dutch student Denzel Comenentia (22) has been over 76 meters while also throwing the shot put over 20 meters, and Australian Matt Denny (21) won silver at the Commonwealth Games and also thrown the discus over 65 meters. Many more are in the mix. Even Nick Miller, the Commonwealth Games champion, is still just 25 years old. As mentioned, Miller already had a strong start to the season with his win at April’s Commonwealth Games. His winning throw measured 80.26 meters. Dozens of throwers a year used to surpass the mark, but Miller becomes just the second thrower in the past four years to join the 80 meter club. Four years ago Miller opted out of the European Championships to focus on the Commonwealth Games. But with the Commonwealth Games already behind us, perhaps another peak this summer is possible. And hopefully his breakthrough will push others over the barrier in the coming months too. If Miller wants to win a medal in Berlin, his toughest competition will come from Poland. As we wrote about last summer, Poland overtook Germany to become the top throws country in the world last summer. But in the hammer, they have been the standard bearers for years already. 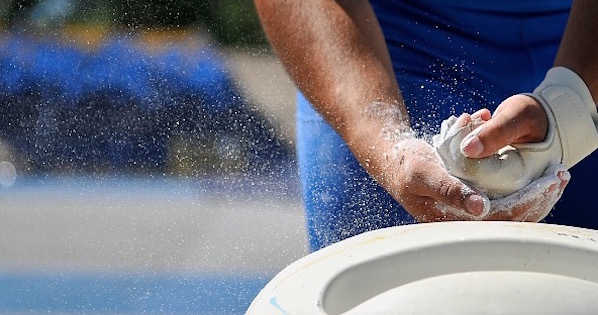 In the men’s hammer they have a good chance of taking first and second, led by Pawel Fajdek who recently threw a new best with the 6-kilogram hammer in training. On the women’s side they even have an outside shot of a podium sweep. At the World Championships Poland produce three of the top four Europeans in the final, led by world record holder Anita Wlodarczyk and young Malwina Kopron. That would be an amazing feat, reminiscent of the Soviet hammer throw dominance in the 1980s. How much Poland can dominate might be an open question, but, baring any injury, Wlodarczyk’s dominance is virtually guaranteed. The main questions for her is how long she can extend her winning streak and when her next world record will come. According to statistics site Tilastopaja, Wlodarczyk’s winning streak now stands at 42 competitions and her last loss came all the way back on June 16, 2014. Prior to the World Championships some injuries meant she had to abstain from training, and she still won by two meters and the margin was more than double that throughout last season. I want to see how far her streak can go, and who will be the next to challenge her this year. On a more somber note, the fight against doping continues with more bans (including Krisztian Pars in April). Throughout the process, the ugly underbelly of the sport continues to be put on display. After more than two years, the IAAF’s case against Russia is still unresolved, and no progress has been made against other countries that had been given warnings. The case against Russia also has no end in sight, which led the IAAF to issue an ultimatum in March. Officially Russia has been banned from international competition since the end of 2015, although athletes that can prove compliance have been allowed to compete as neutral athletes since last year. In order for the ban to be lifted, Russia must institute structural changes and acknowledge the extent of the past wrongdoing. There is slow progress on the first point, but none of the second. The IAAF has warned that if no progress is made by Russia, more severe punishment will come, including a ban on even the neutral athletes. It’s shameful how Russia has handled the situation. But it’s also shameful that the IAAF would ban athletes they have acknowledged to be clean. Hurting the athletes in the middle is not the best way to help anyone, as change in Russia comes from the top, not the bottom. As a fan I hope to see this situation progress throughout the year and a clear path forward. Having Russians at the World Championship last year made the competition stronger, and young thrower. Another frustrating story in the hammer throw this year is the continued decline of the IAAF Hammer Challenge. Simply put, the series is inadequate. Prize money is poor, few athletes are allowed to compete, and competitions are sparse. Over the last few years the series has gotten smaller, but this year it has reached a new low, down to eight competitions, including just five for men. The IAAF is reanalyzing the annual calendar and competition structure. Don’t expect radical change – it recently took them 14 months just to recommend to extend the change of country waiting period from two to three years and the decision is not final – but changes will be coming. And that could be either good or bad for the event. The American women are stronger than ever in the hammer, and it’s not just the usual names you’d expect. Last year America had 4 of the top 13 throwers in the world, led by new American record hold Gwen Berry. All four were over 73.50 meters, including veteran Amber Campbell. While the season is young, America is already at another level this year. The women have already produced three of the top four marks in the world in 2018. What is even more impressive is that neither Berry nor Campbell are among the top names so far this year. Just yesterday DeAnna Price set a new personal best of 75.96 meters, the second best ever by an American. Last month Maggie Ewen set an NCAA record of 74.53 meters (on a side note, she also set the NCAA record in the shot put at 19.46 meters in April). And Brooke Anderson hit 74.20 meters at the end of April. All three are 24 or younger and show that America’s strength in the women’s hammer is not just a flash in the pan. It is something that will continue for years to come. I always like to keep an eye on the future and there are some great throwers coming through the youth ranks this year too. We are just two months away from the World Junior Championships in Finland, with some interesting names to watch. English thrower Jake Norris, currently a freshman at LSU, has already thrown junior world leading 72.70 meters this season at age 18. With the junior 6-kilogram implement he has gone even farther with a throw of 79.55 meters, which wsa the world lead until Hristos Frantzeskakis broke 80 meters this weekend. Norris seeks to become the first British male to win a world junior hammer title (Sophie Hitchon won the women’s title in 2010). A win is not a foregone conclusion with competitors like Frantzeskakis and Ukraine’s Myhaylo Kokhan, who also threw nearly 72 meters last year at just 16 years of age. But the prospects look good. The women’s competition will feature some North American connections with Canada’s Camryn Rogers and America’s Jill Shippee both among the top six in the world currently. Alyssa Wilson is also in the mix. Rogers threw a junior national record in April and is less than a meter behind the world leader Zhou Mengyuan of China. European junior champion Katerina Skypalová, who has yet to debut this year, is also a favorite.